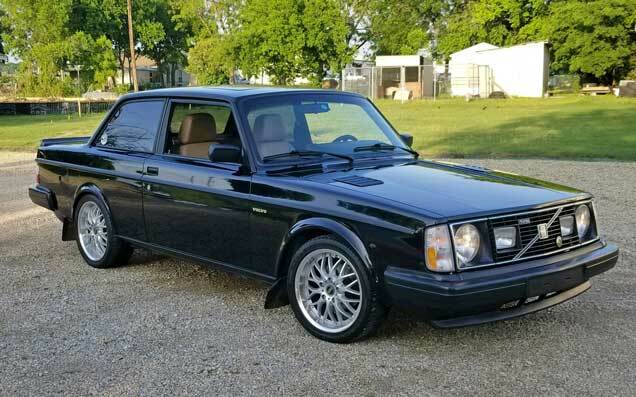 Ok, so I have a very slow moving project, an '82 242 Turbo that I've been restoring/repairing/replacing for years. It's our backup vehicle so the mechanical mods are too extreme but I'm running 12 psi on k-jet with all the ancillary upgrades and changes that make that extra poundage work without rapid, unscheduled disassembly. Anyhow, I've been putting off fixing any of the body or interior until just recently. I started with the late model windshield replacement and repair of the rusty bits underneath. 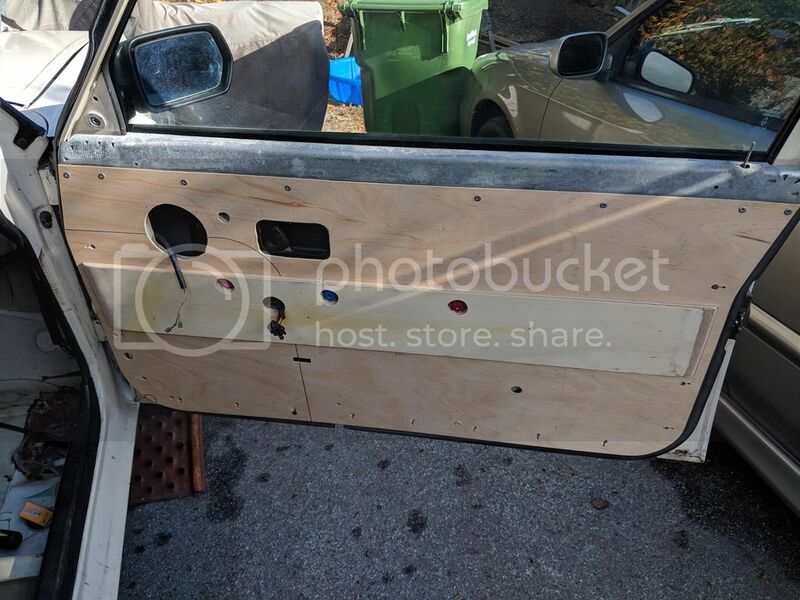 That evolved into replacing the rotten and floppy door panels. 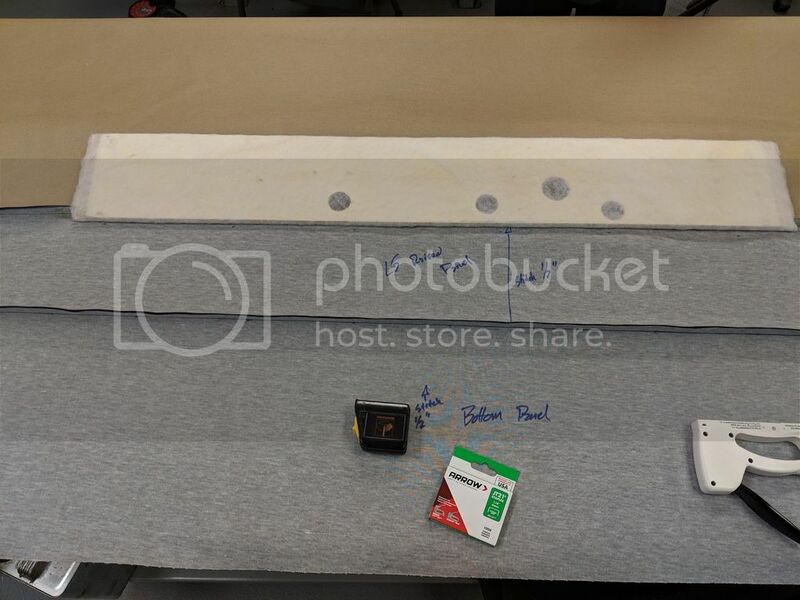 I've seen and lusted after volvorod85 242 door card build, but they didn't have very many pictures but gave me a great start. What I've tried to do here is document and describe my build process so that someone else can use this and improve the process. Yes there are things I would have done differently, I'll describe them as I go, but overall I'm pretty stoked with the outcome. I hope you guys enjoy. The correct way to show a build, right? The finished panel. A little lumpy here and there but still MUCH better than what I had before. I had tried to copy the old panel which was a complete disaster, it was so warped and rotten(failure#1). I then tried clear shower curtain vinyl to copy the holes directly from the door but the vinyl was too soft to stay flat and accurate (failure#2). 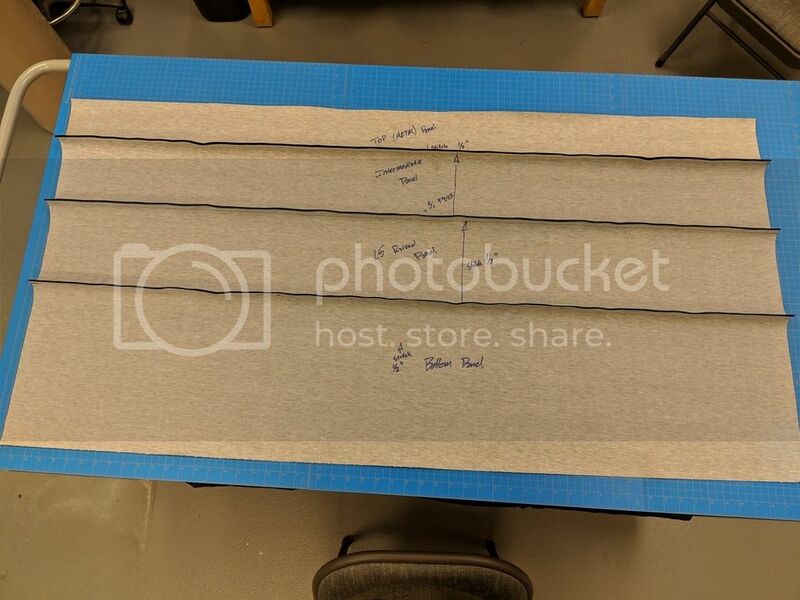 I then ordered a sheet of 0.040 poly-carbonate which was stiff enough to hold its shape, mount components to, and easy to score lines and cut shapes from. 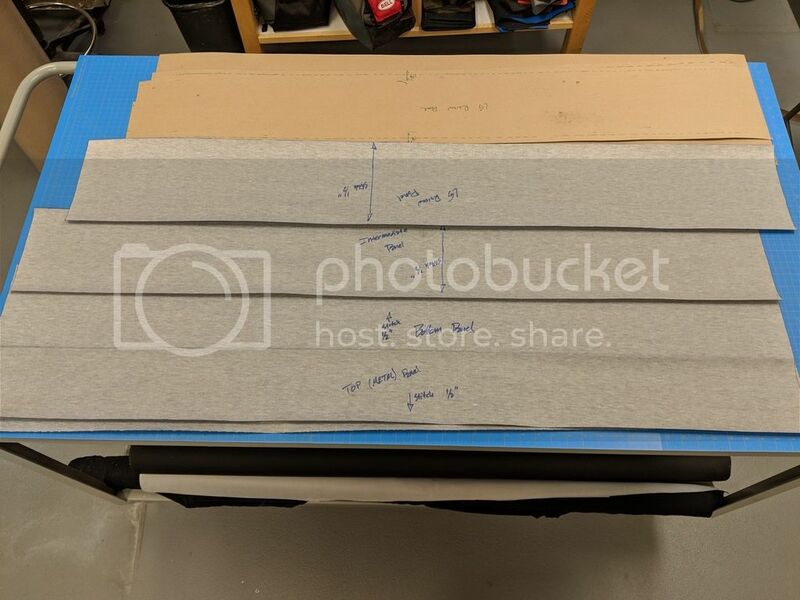 I stuck the PC sheet to the door to transfer the holes and features using double sided foam tape, the same 3M stuff you use to put on weatherstripping and trim. Tip: run a rag over the tape once its on the door to apply some lint to the adhesive or else the pc won't come back off. You can wipe the adhesive with alcohol before you apply (as I did) a thin nylon vapor barrier between the new panel and the door cavity. 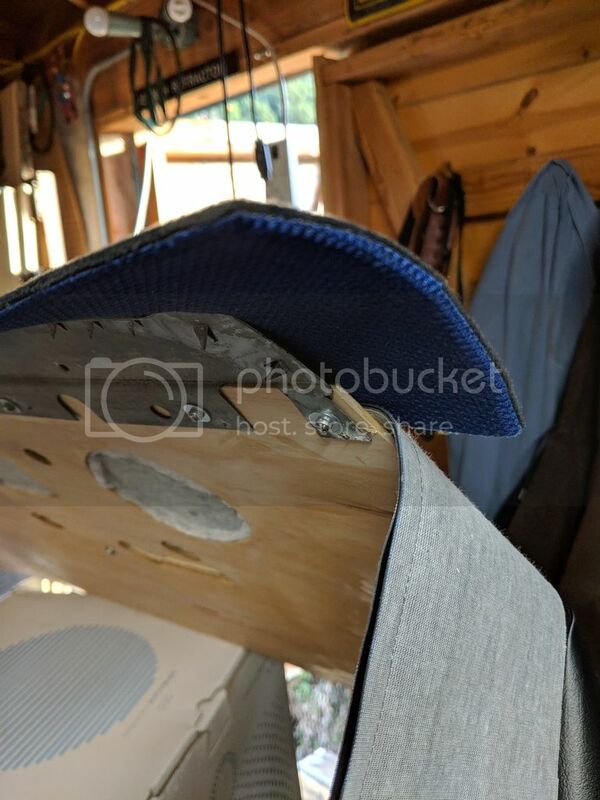 This is the plywood i used. Besides being the right dimensions (1/8") I chose it because it is light, strong, and inexpensive. 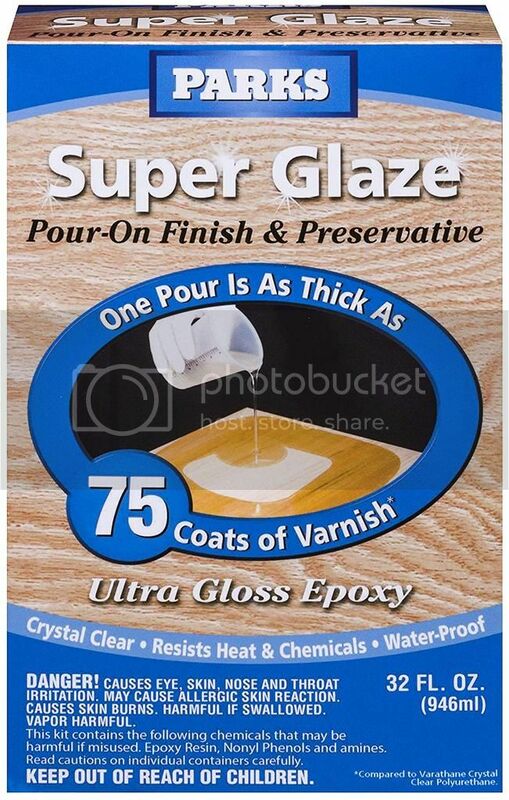 Plus, it's more resistant to moisture than press or particle board. I got it at Home Depot. 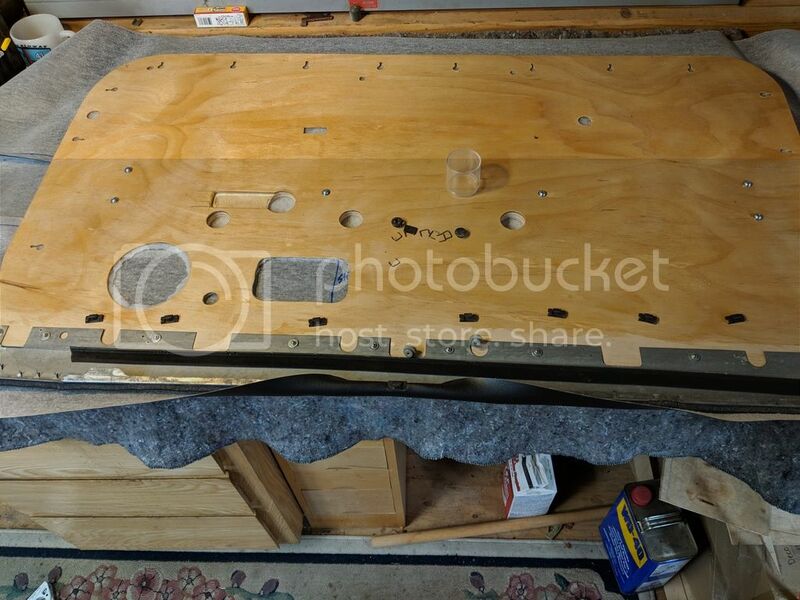 Once I had all the perimeter, snap, features, and mounting locations on the PC sheet (the sheet had the exterior shape of the panel with extra at the top for remounting the metal top) I traced the PC onto two plywood panels and cut the perimeter on a band saw as the driver and passenger are mirror images. 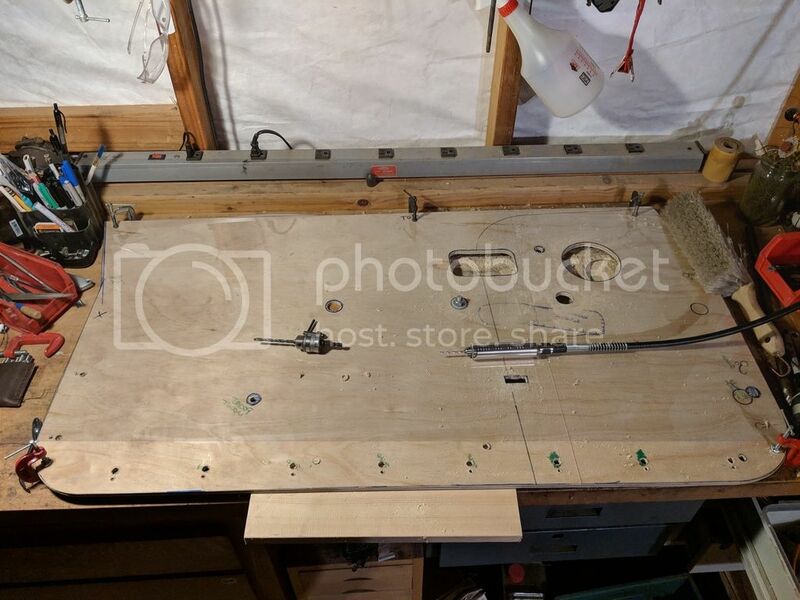 Once the perimeter was cut, I used spade bits and Dremel routers to drill through both plys of wood. 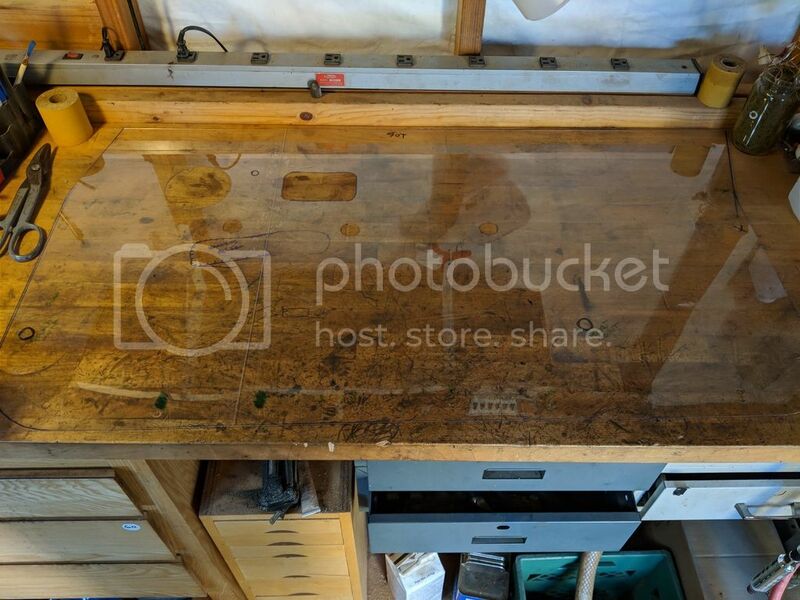 Using the thick, rigid PC as the template also allowed me to confirm all the snaps before I cut wood. 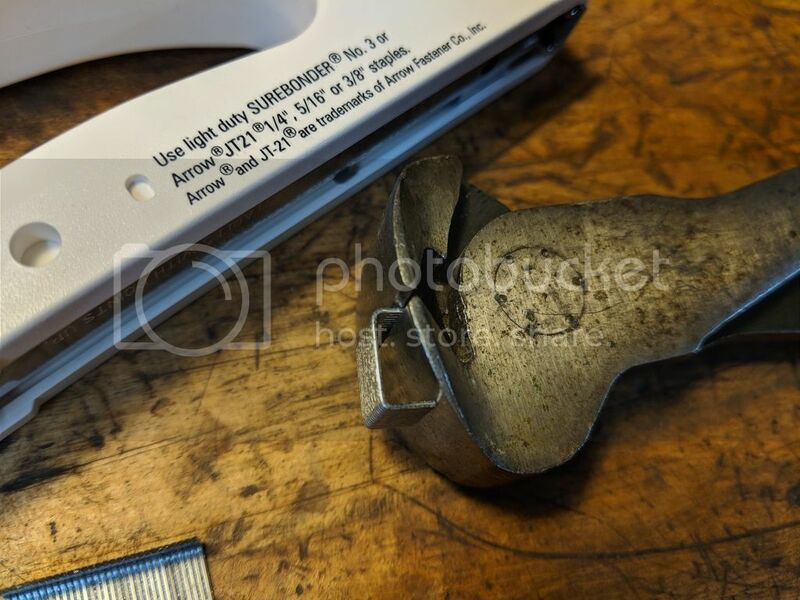 I used aluminum rivets 3/16 hole, 1/4" hold with a washer backing. WAY stronger than the staples. 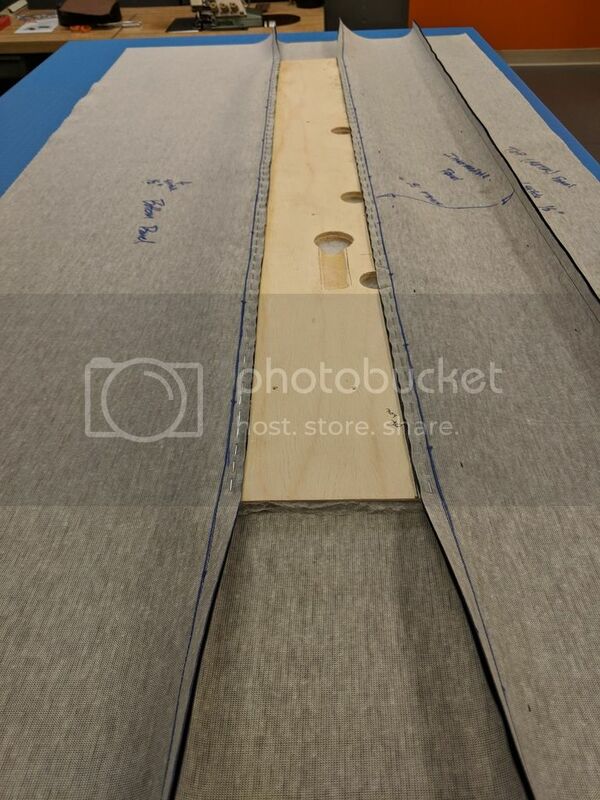 This is a later pic showing the batting being mounted, but you can see that it's a separate piece. 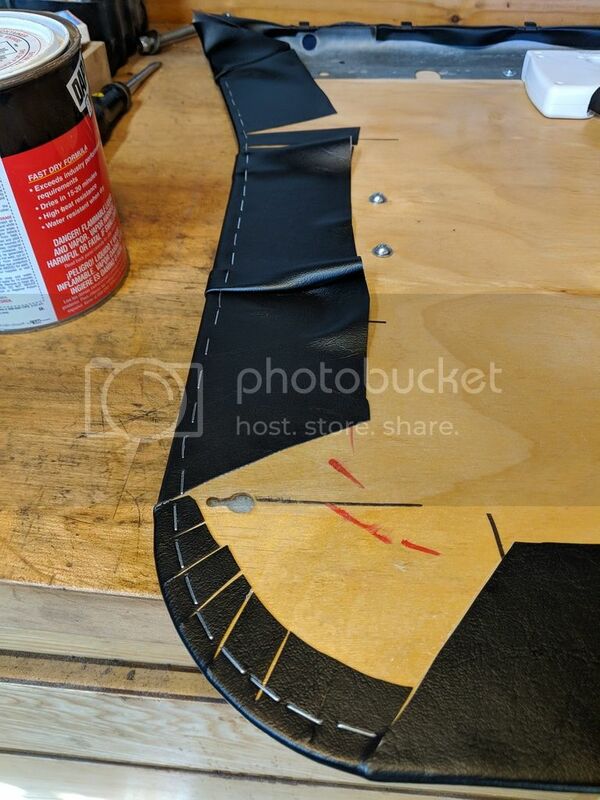 I choose to do this because it seemed the easiest way for me to generate those crisp edge lines without resorting to funky glue and staple process. 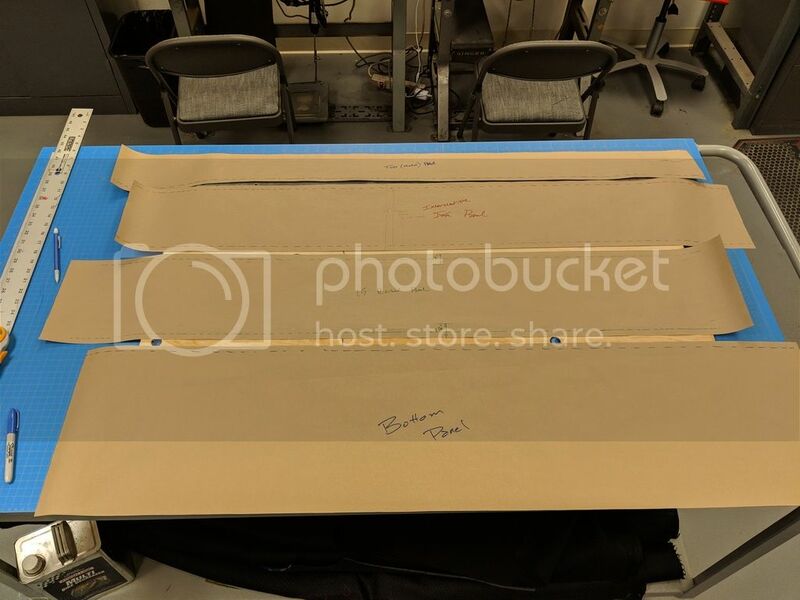 This also allowed me to adjust the vinyl transition between the raised vinyl panel piece, the intermediate vinyl panel, and the top metal panel piece which was the most crucial as they needed to be parallel to look correct. More on how the vinyl was attached soon. The installed wood panel assembly. 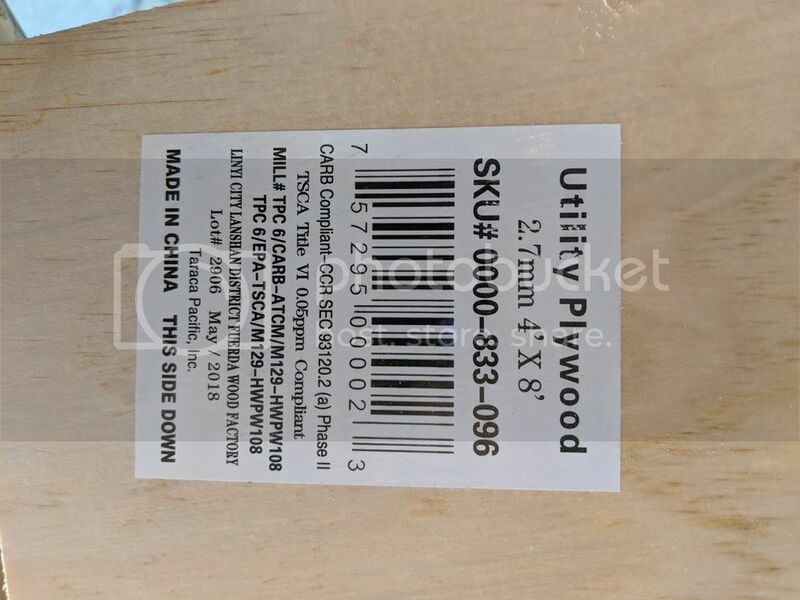 The raised portion is removable at this stage, and is made from a mahogany project panel also available at Home Depot. It's 2 pieces of 1/4" panel glued together to replicate the dimension of the relief on the original panel. The location was determined by measuring from the bottom of the door panel to the bottom of the raised relief panel. The holes were transferred from the location on the panel established earlier. 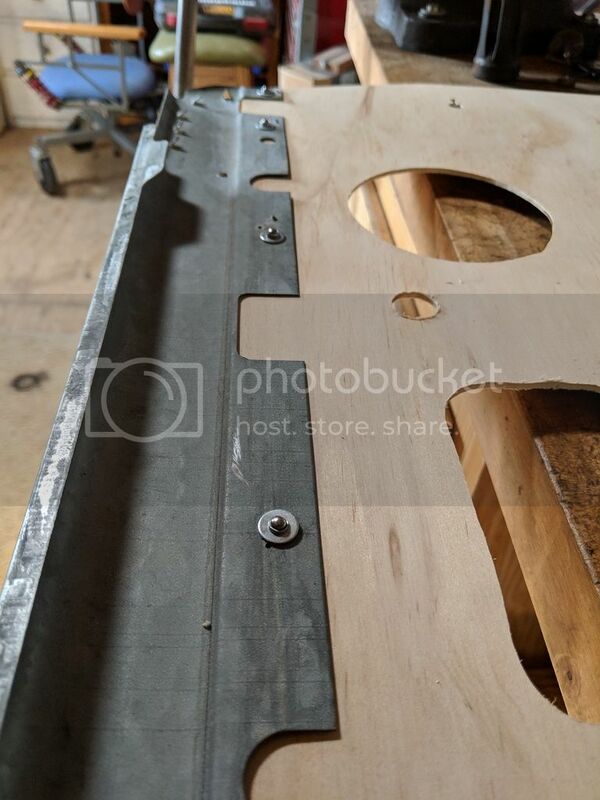 Oh, I'll say it now, in the picture above of just the raised relief, the little channel ground into the wood is to allow the window control wire some pass thru room. The original panel made plenty of room for this but this is my work around. THINGS I WOULD HAVE DONE DIFFERENTLY: You can see that the raised relief does not go all the way to the edge? That was because I was worried that the fold-over in the vinyl, as you'll see, wouldn't fit and would bunch too much at the transition. I was trying to leave enough room to accommodate this stack-up. 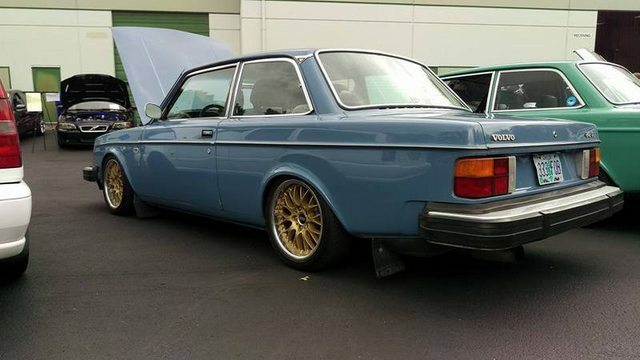 I didn't need to worry and should have run the raised panel to the front and rear edges. 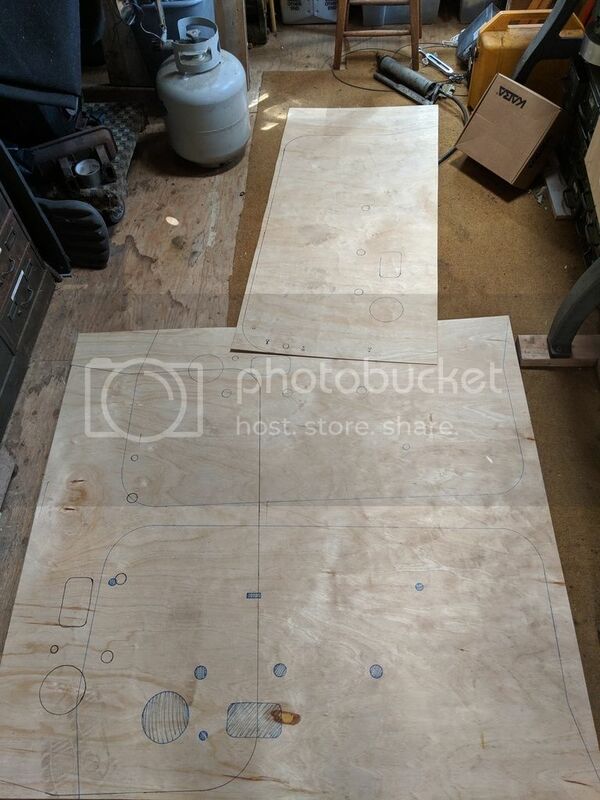 Once I had all the wood pieces cut and fit, I began building the patterns for the vinyl. I started by calculating the wrap I wanted on the middle raised relief (the wood one) and worked out from there. The panel below didn't matter as it could run long and would get trimmed back, same goes for the top metal piece. The intermediate panel (the pattern with the red writing) is the tricky one. 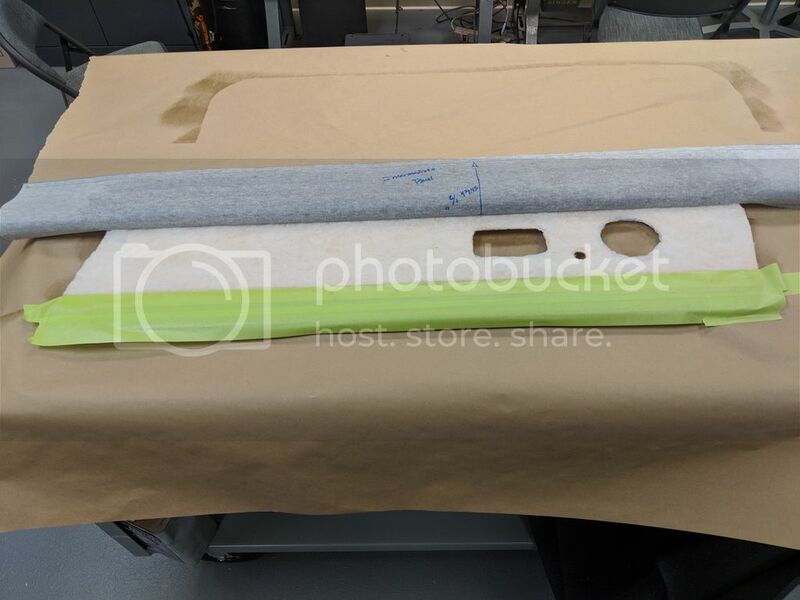 This width of this piece dictates the width of the panel that incorporates the speaker opening, interior door latch, and door pull top. 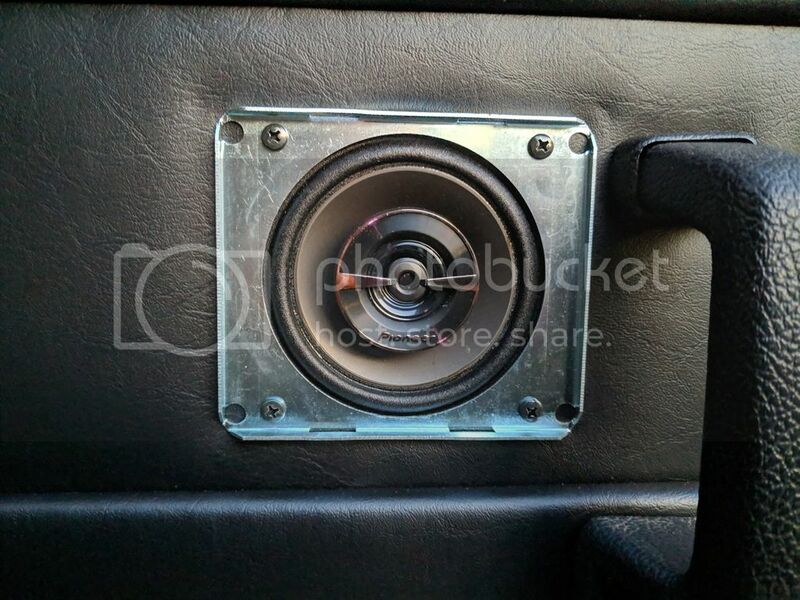 I calculated a little extra room at the top of the speaker even though I was reusing the original speaker grilles. 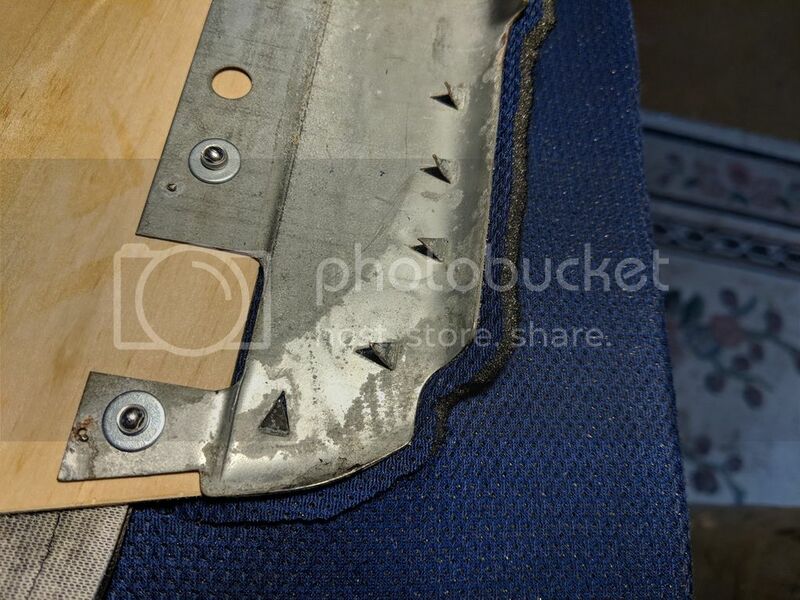 The wrap on the raised relief panel had to be enough to hold the staples without showing the stitching too much. 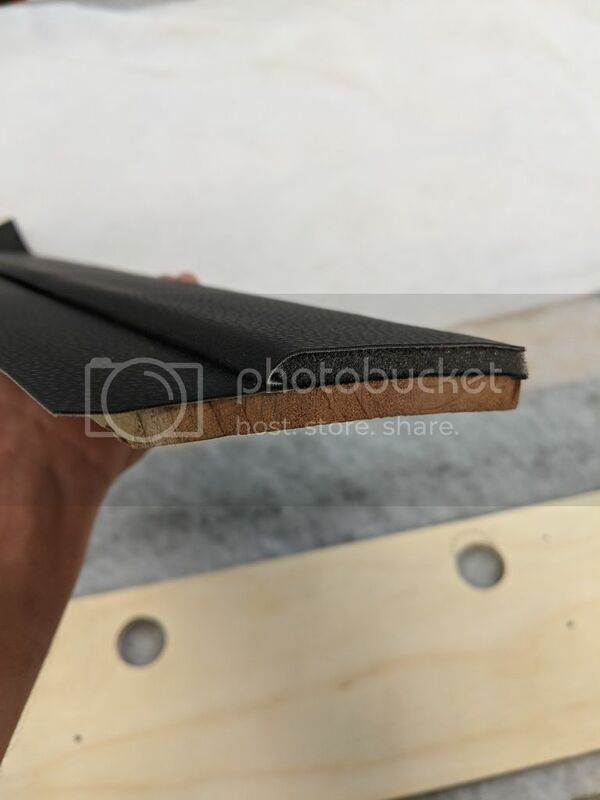 The wrap also had to be adjustable to allow the stitch on the top where the fold over foam area would happen to be parallel to the metal top panel joint. This will be shown in images below. here are the panels stitched together. I used a 1/2" seam allowance which gave me plenty to staple and glue to. 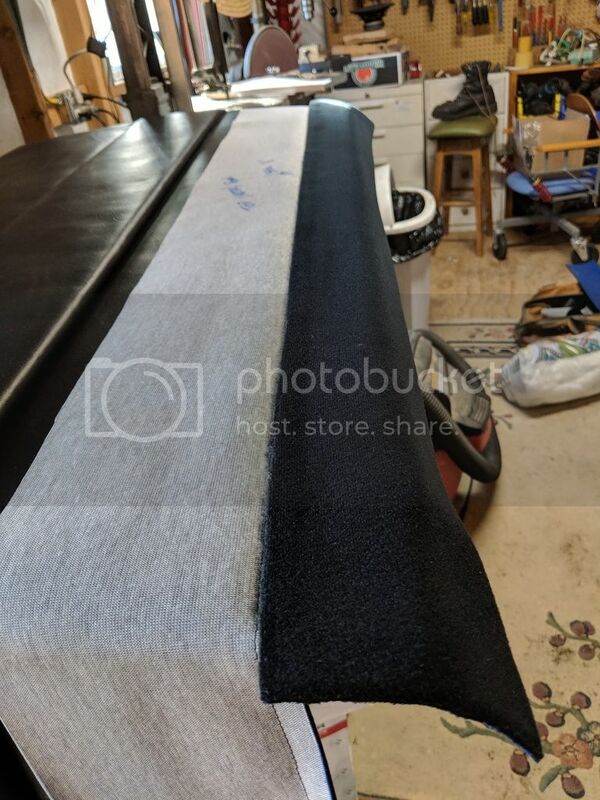 I used the full width of the vinyl as it came from the upholstery shop, it would be trimmed off later. This is the intermediate panel wrapped in the batting. This stuff is easliy found at an upholstery shop or quilting/fabric/craft store. This is 1/8" quilting batting. It's purpose is to soften edges and mask any imperfections in the wood or craftsmanship. It also lends a nice soft feel to the panel and helps with noise dampening. I attached the batting to the wood with 3M Super77 spray contact adheasive. I used brush on contact cement in high stress, high hold areas, but spray on to tack the batting to the card and vinyl to the batting overall. This is the staple gun I used, also readily available at craft stores. Unfortunately the smallest depth staple is 1/4" which is fine for the raised relief panel but not for the 1/8" door card. I used a set of nippers to cut down staples to approx. 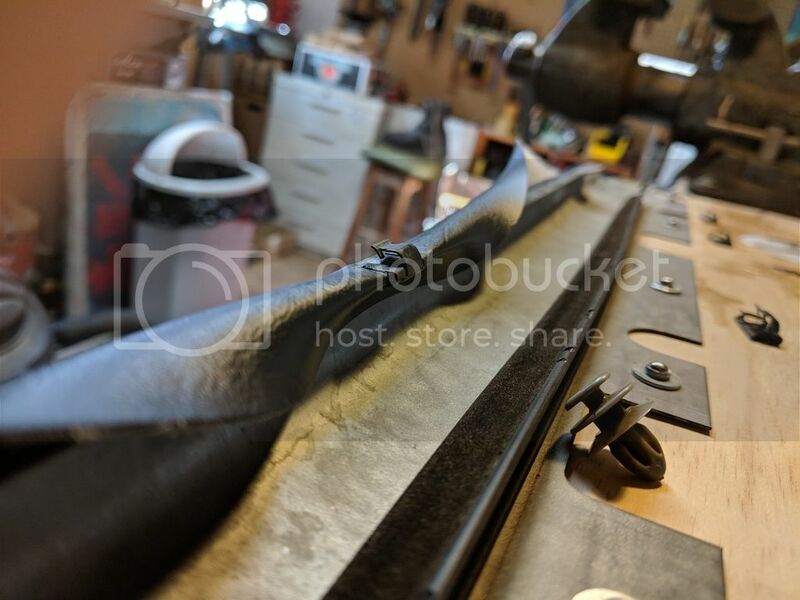 1/8". Worked just fine. Here you can see the wrap on the intermediate raised relief panel. 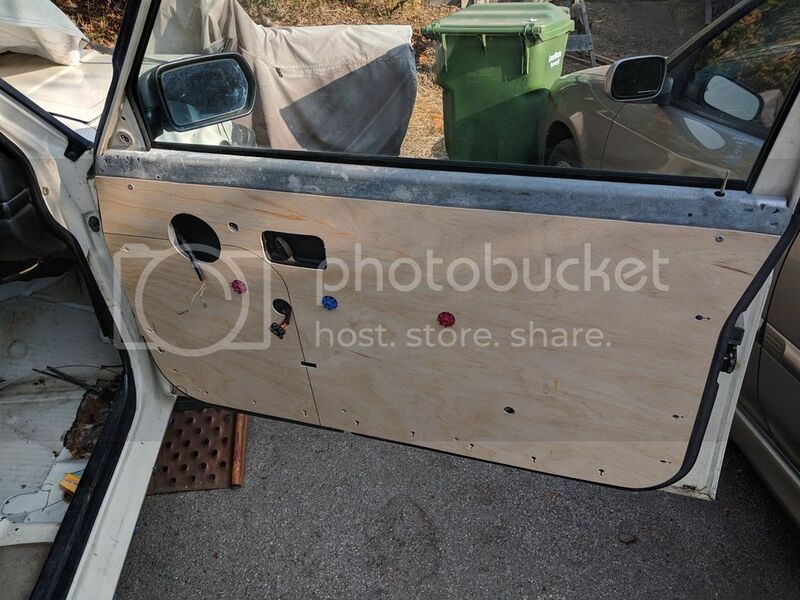 This panel, its batting, and the entire stitch vinyl become a sub assembly that gets attached to the door card after stapling. LEARNING MOMENT: All the on-off-on-off for the raised relief panel final dug out the 6 holes that hold the panel in place...crap. 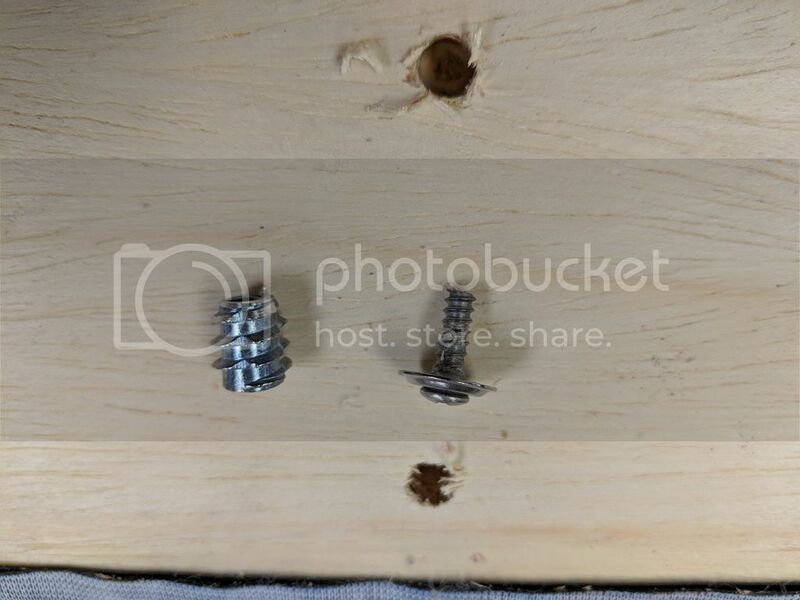 I bought these threaded wood inserts with the intent of using them, then I got lazy and used these cut down screws. Well guess what, I got to do the job twice. These inserts worked great, though I had to grind them down to not poke through the vinyl on the other side, because it was already glued up. 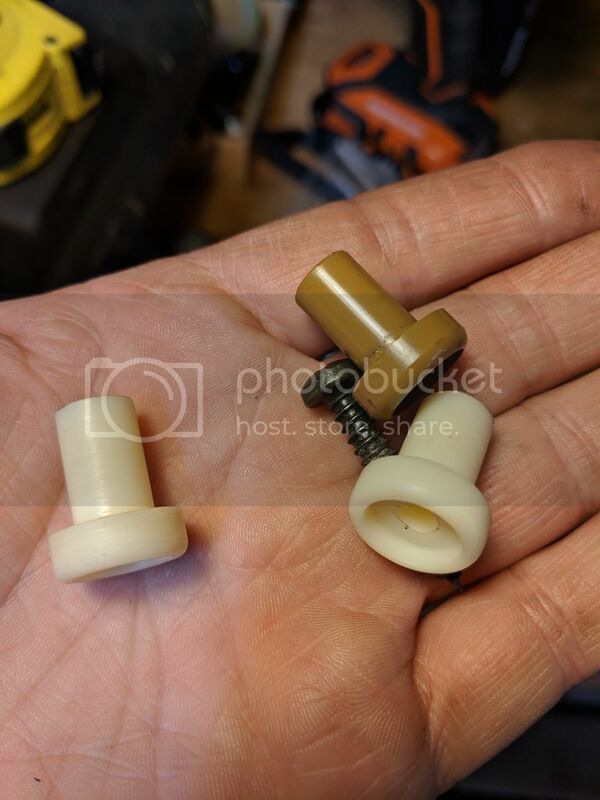 I had to be very careful that I didn't drill through the vinyl when I re-drilled the insert holes...that sucked. 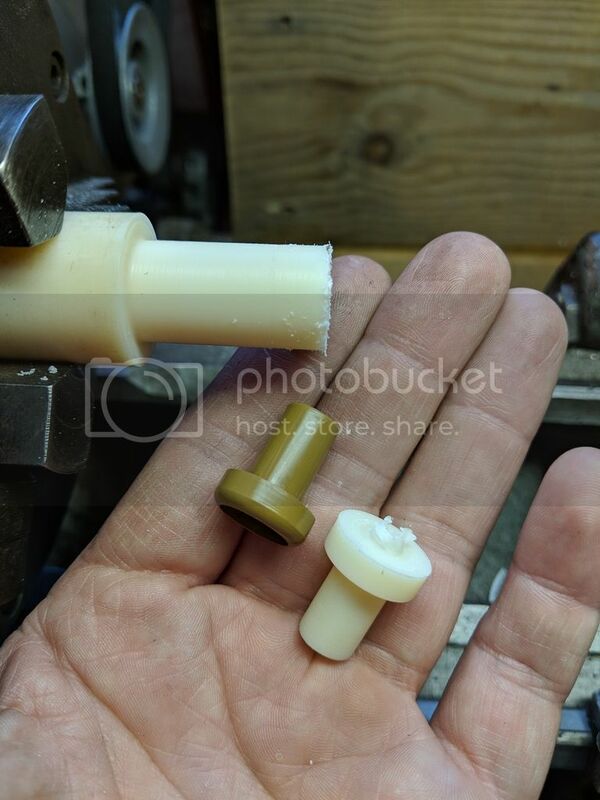 Use these first, or epoxy a nut in a hole if can't find an insert!!! 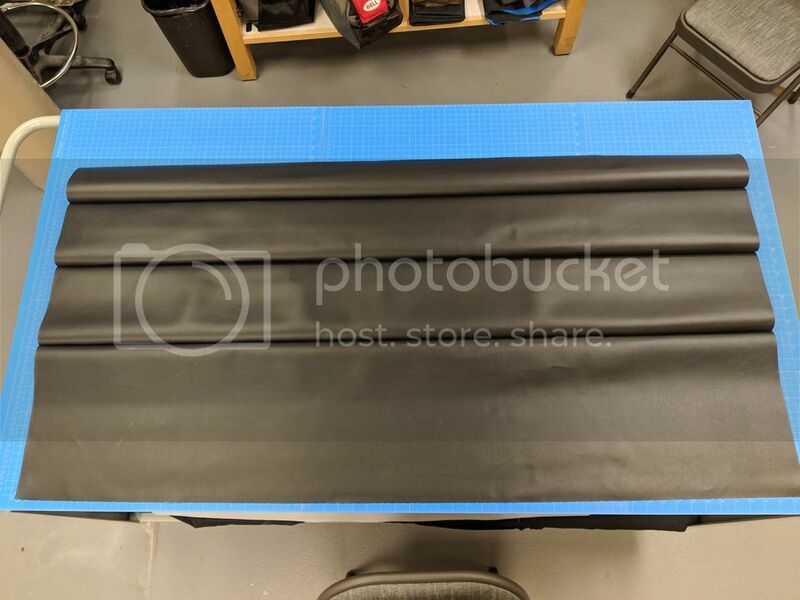 Here is where I used more spray contact cement to glue down the bottom and intermediate vinyl panels. The paper is protecting the aesthetic side from over spray. I forgot to mention that the other and perhaps main reason you use the batting is to allow the vinyl to float a little on the door card. This allow you to pull the vinyl tight when you go to wrap the edges and glue/staple to the back side of the card. 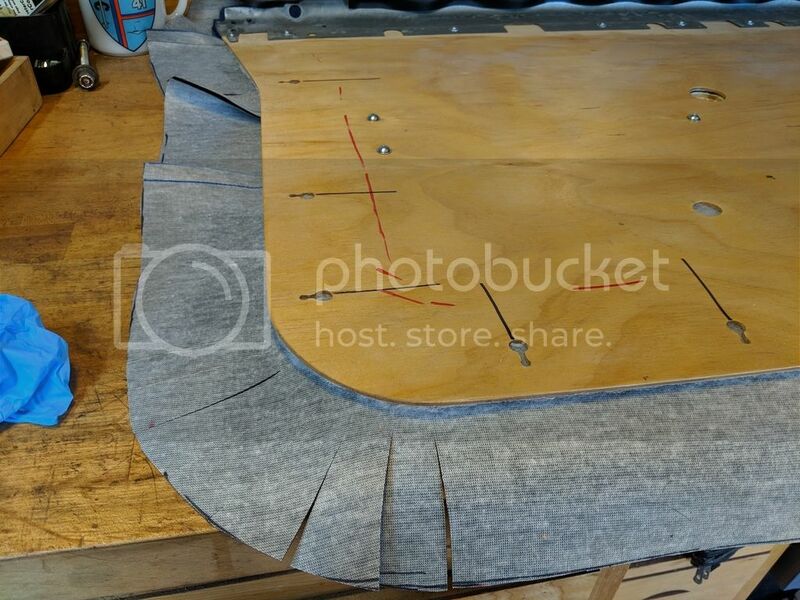 I had measured the intermediate panel and seam allowance to align with the rivets at the top shown here. 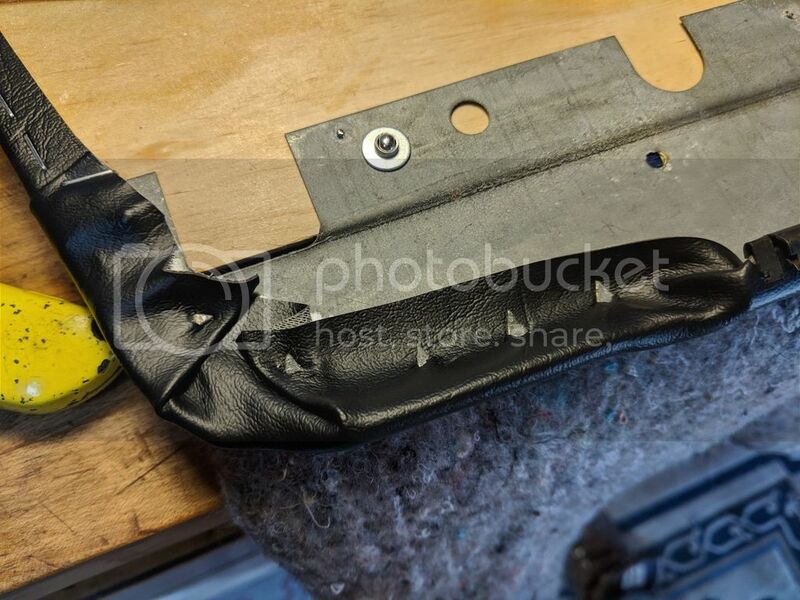 The goal was to have a way to cover and hide the rivets that may have otherwise shown through the vinyl. Once laid down, I used brush on contact adhesive and the trimmed down 1/8" staples I mentioned before. 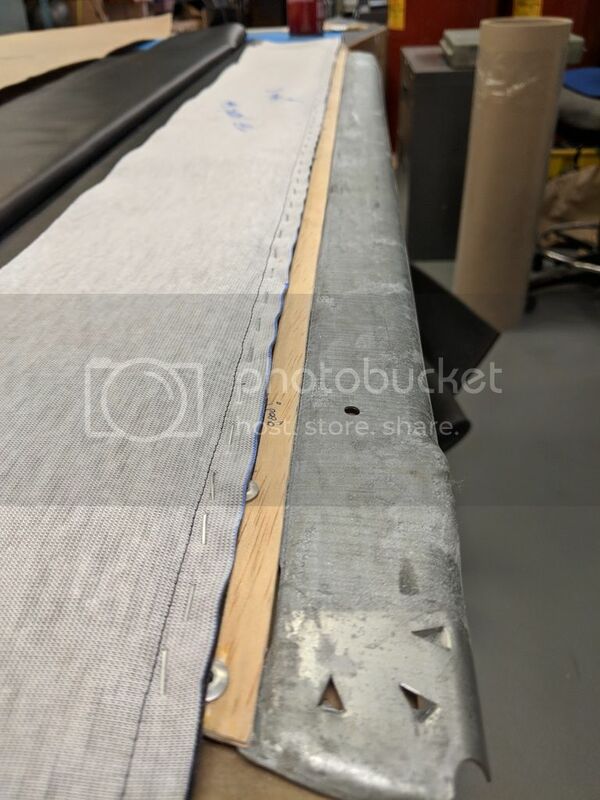 Also mentioned before was the need for this seam to be parallel to the steel/wood joint...this is what I was talking about. 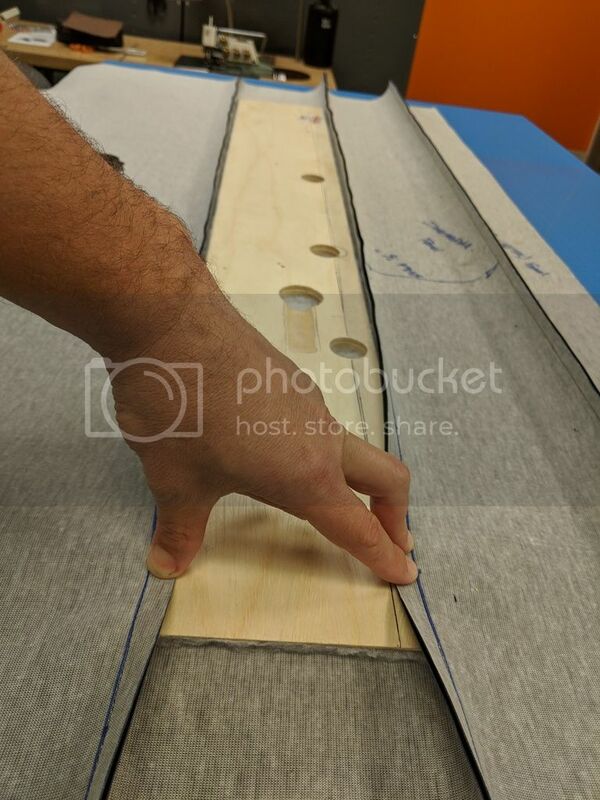 The next picture show the 1/4" foam spray glued into place. 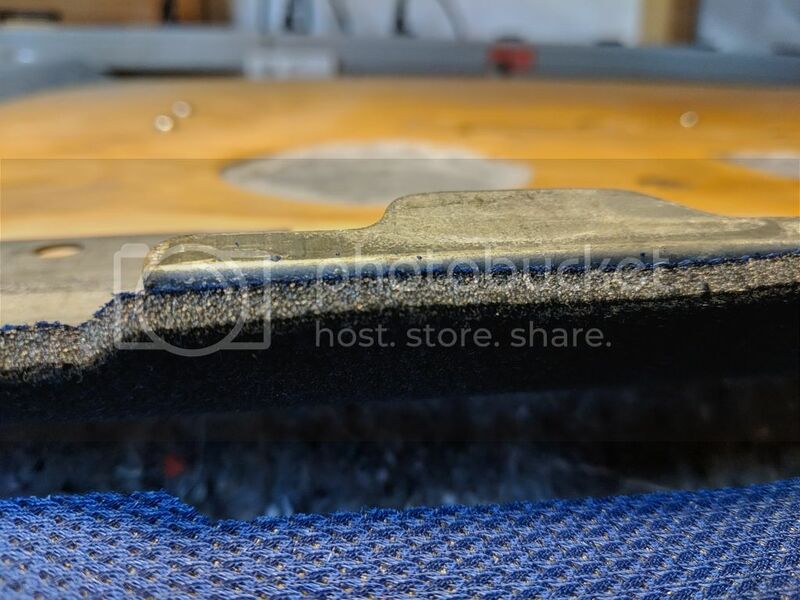 The edge was aligned with the stitch seam and then the foam was trimmed back once dry. I got this scrap of foam at work but any 4 or 6lb urethane foam would work, again, found at any craft or fabric store. I think this is 4lb. Here I trimmed back the foam with a razor blade. 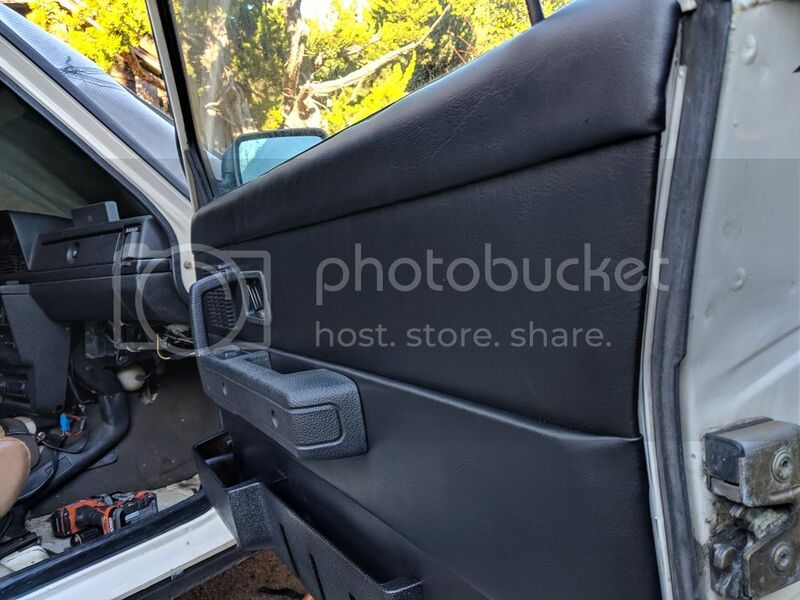 I cut it flush to the top edge where the window scraper will be reinstalled, but I left a quarter inch or so at the edge where the vinyl will wrap to be attached at the barbs. Maybe this was in error, but I wanted to protect the vinyl from wearing or pulling through on that edge. Now things started getting real! This was the area I was not confident with...the wrapping of the vinyl and my ability to get all the bumps and lumps out. I left all the edges untrimmed except for this area that hat to wrap. I made sure that I had enough to wrap this lip. 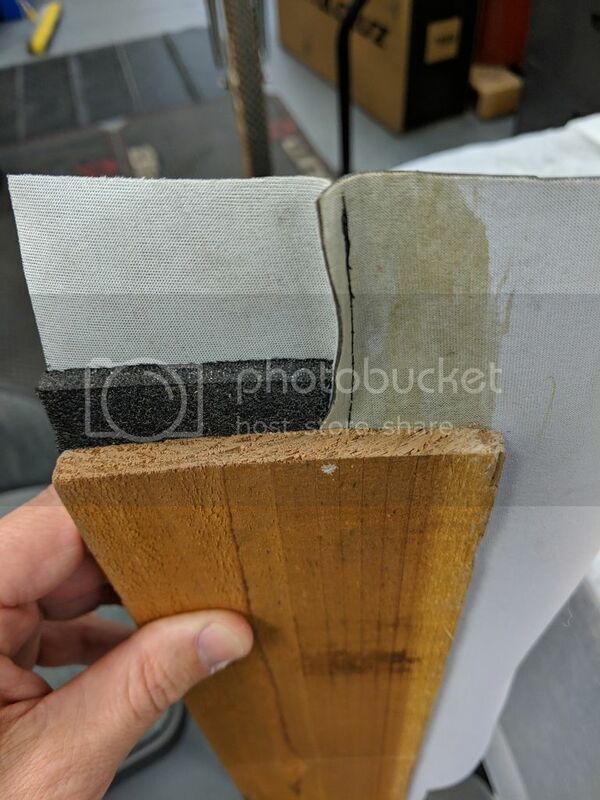 Unfortunately, these clips were never supposed to keep this edge pulled tight as the original panel used a type of roller heat staking to hold the vinyl in place. I tried to pull as much tension as possible and hoped that the back tension applied by the compressed foam padding would balance out the lumps. Unfortunately, you can see some lumps in the finish panel at the top where the window scraper attaches. I really don't know how to pull these out, but I'm happy with it. 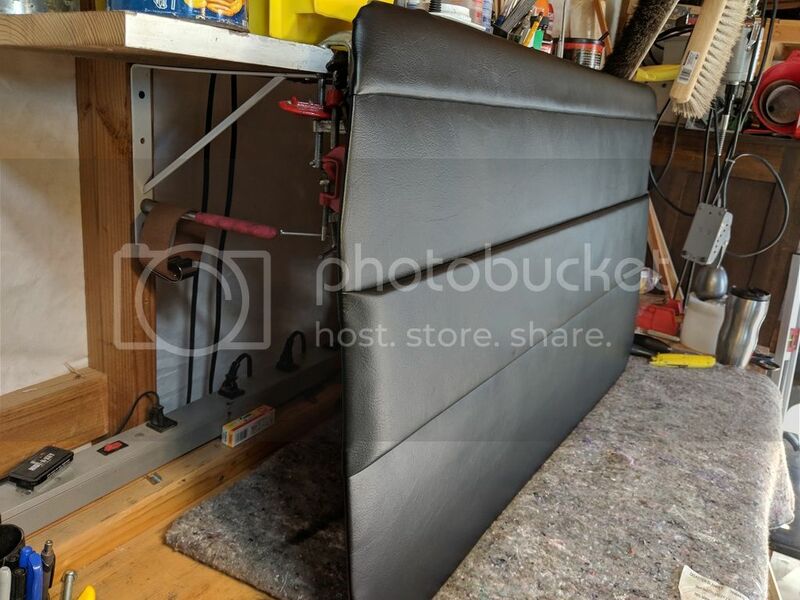 Oh, I didn't re-use those grey, long snap that attached at the top of the original panel, I couldn't figure out the needed offset and the panel fit well without them. Here the top window scraper/vinyl retainer are installed and I've trimmed off the edges to within 3-4 inches. the amount does not really matter because you can see in the last pic, the majority gets trimmed back to just behind the staples. You just need enough to glue down and hold tension while you staple. 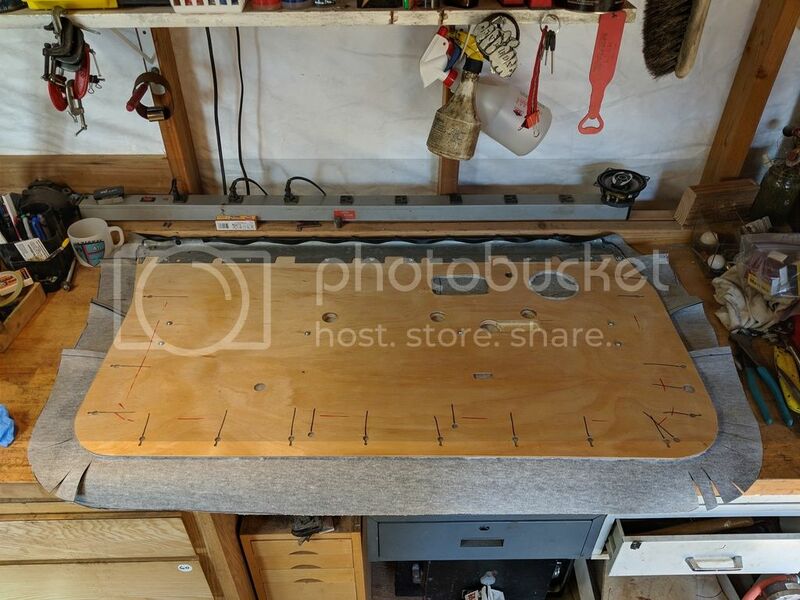 I suppose the majority could have been left and only the snap holes cut out but I decided to staple and trim the entire perimeter. I didn't grab a pic of that but you get the impression from the 3rd picture. I actually put a double row of staples at the corners where the most tension/least surface adhesion is. Additonally, the double up wrap at the area where the raised relief panel wraps around the card was no problem. I though that there was going to be an interference issue but it was fine. This wasn't bad, though the result wasn't as tight as I was hoping for. The trick I was able to find was to double and triple up each barb if needed, but the layup seemed to resolve itself. I cut the holes with a hole punch set and a set of dividers with an xacto blade taped to one side. I left the interior handle recess to be cut once installed to make sure I didnt cut more than I needed to. The handle bezel actually acted like a near perfect cut template. 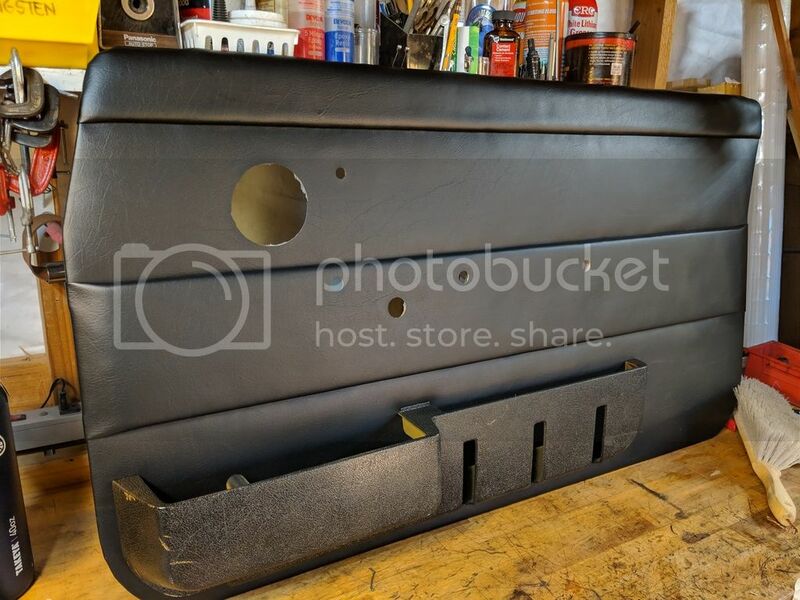 I turned out a couple of replacement map pocked bosses, painted them, and the map pocket (it was brown before) black and began reassembly on the car. I'm going to update with the speaker configuration because I actually made a last minute change that I really liked. I have to go take a picture of that. Sorry for the grammar and misspells, I'm rushing to get this up between kid naps. Hope this helps someone out there. I wanted to document this and post it because there isn't a lot of info around. Looks awesome! Wish I had that kind of patience! This should be in the aritcles or projects and restoration section. Well done! 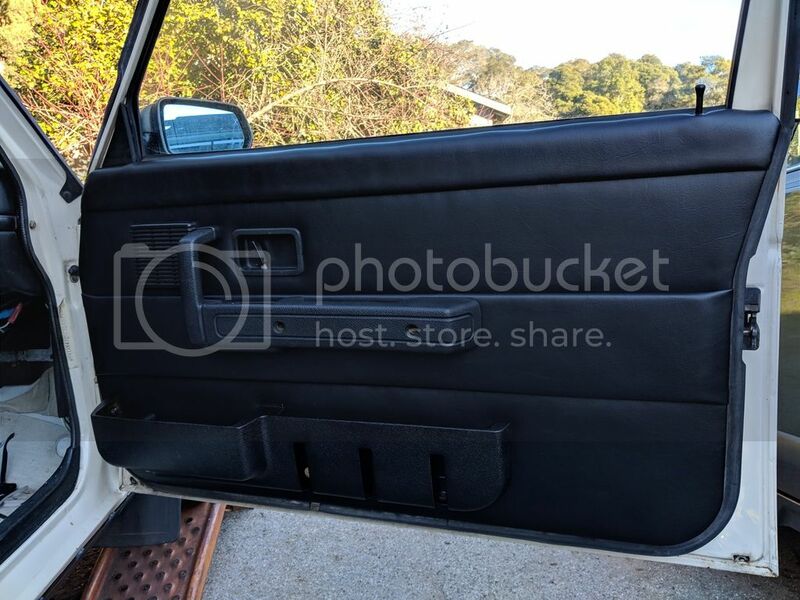 This is very nice, I would like to go back to a stock style door card someday. Thanks for the kind words everyone. Glad you all appreciate it! As I said in the original post, here is the speaker configuration I went with. 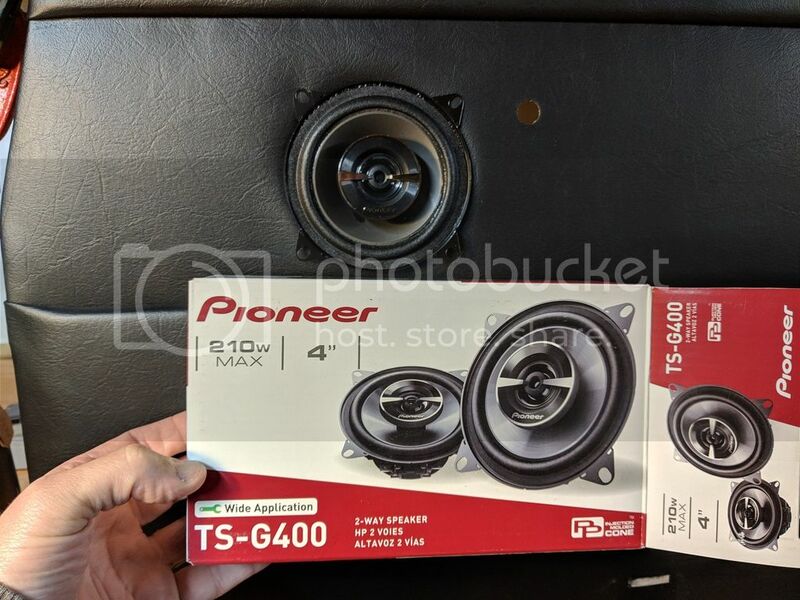 I used the Pioneer TS-G400 4" speakers as they are a shallow fit and won't interfere with the window. Also they fit perfectly inside the brackets, as pictured below. 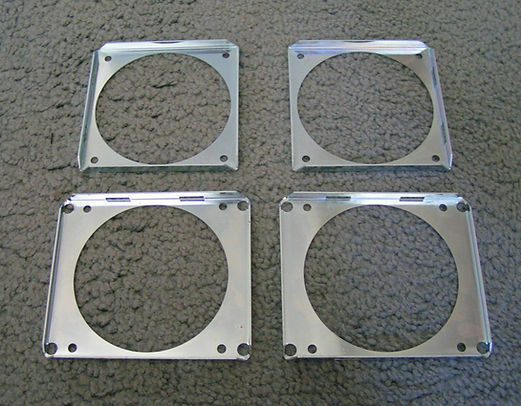 They sound good, and they are cheap because they don't come with mounting rings or grilles, perfect for this application. 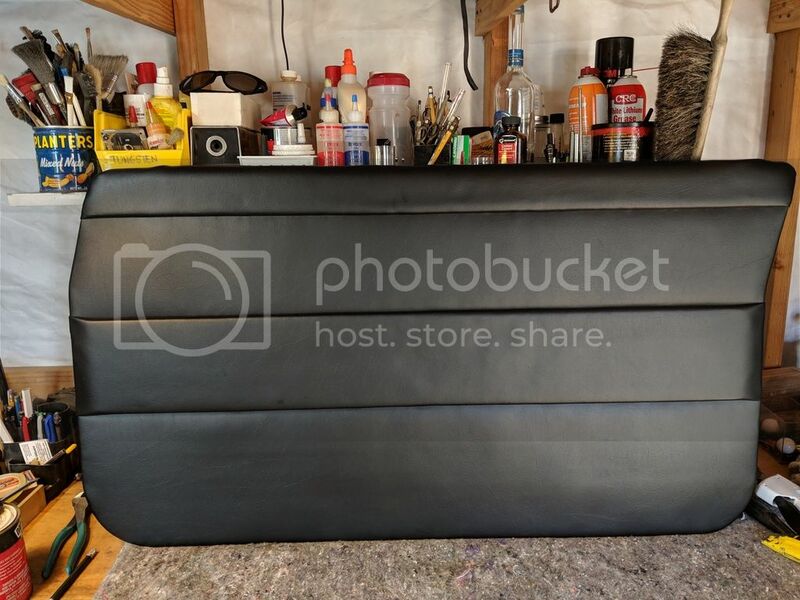 I got these brackets years ago from another 240 enthusiast online somewhere, hopefully someone here will recognize them and give a link...I cannot remember where I got them. I know that Cructhfield carried them for a while but no longer. As you can see from the first post, the stock grille fits onto these. New speakers = me happy, original grilles = wife happy. Yep Dave, that's the guy! I forgot to talk about an important step, a step that should prevent the need to ever do this again. 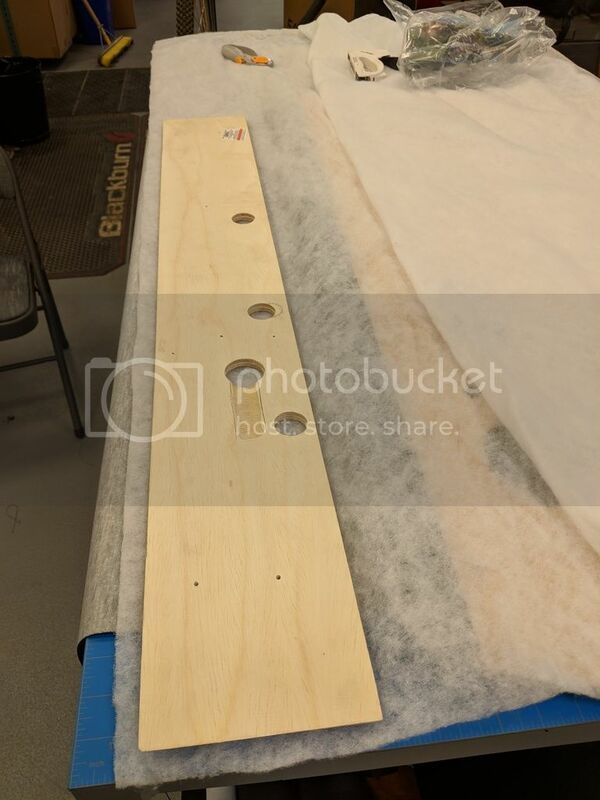 I coated the entire 1/8" inch wood panel in this two part epoxy. 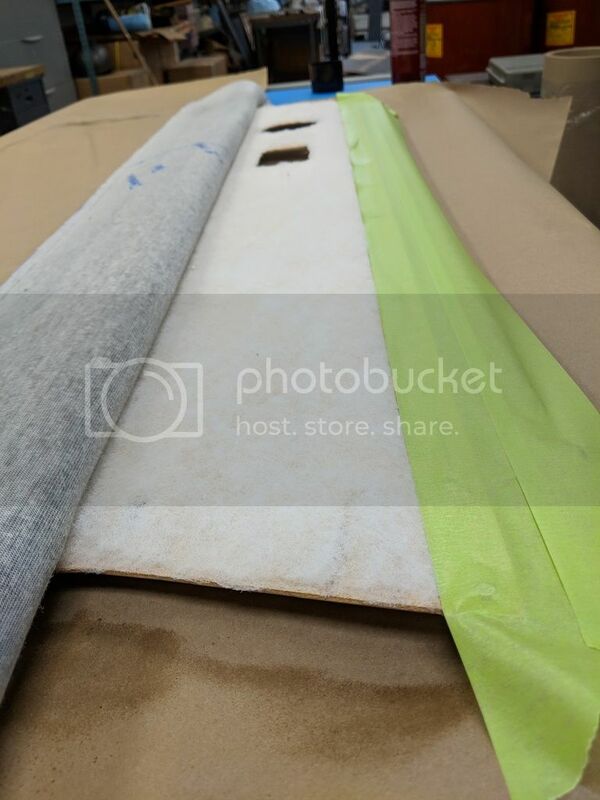 Once all the holes were drilled and features cut, I coated all edges and surfaces in this epoxy I chose this because it is thin enough to spread easily with a squeegee (or old gift credit card in my case), chemically impervious, and contact adhesive would still stick to it. I gave it a light sand to remove any snags and to help with adhesion of the contact cement. I used a heat gun to make sure that the epoxy had absorbed into the wood and wasn't just on the surface.